Outlets at Casa Grande offers Great Savings, Great Brands & Great Shopping at stores like Gap Outlet, Levi’s Outlet, Guess Factory Store, Reebok, Kitchen Collection and Oshkosh B’gosh and many others. Outlets would like to give back this season, spend $75 or more and receive a gift choice from a different store each week, free gift wrapping and weekly shopping spree give a-ways. Located just off I-10 at exit 198, between Phoenix and Tucson. 2300 E. Tanger Dr. Casa Grand. 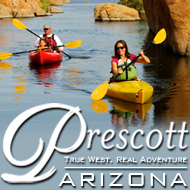 Call 520-836-9663 or visit our website at www.OutletsatCasaGrande.com.